Diane Showed Us Her #MarcusMugshot, and Won! Well, we’re just a bit behind on this week’s challenge announcement, thanks to our late-winter blizzard closing on Tuesday, but we’re back, and thrilled to reveal that Diane Sala is our latest winner in the Marcus #mugrugchallenge! Even those “I’m-not-a-morning-person” persons will love waking up to these bright, cheerful dots with their first infusion of coffee! 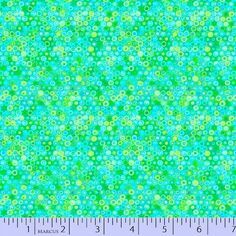 Diane selected a group of 4″ x 5″ squares of GO-GO! DINO! prints at our QuiltCon booth, and we love her arrangement of HSTs (half-square triangles). She then submitted her photo via email, and you can too, in addition to entering via Instagram post using #MarcusMugshot. We’re about halfway thru the Challenge, so while there’s still time to enter (as often as you like) now through April 30, we can’t wait to see what you come up with! 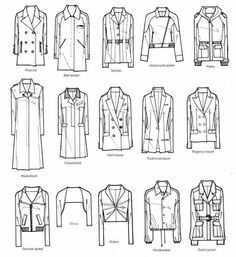 Remember, just be sure to include at least one Marcus or Studio 37 fabric and create any shape, sized up to a max of 9″ x 9″. Good Luck, everyone! It’s a Blizzard… Let’s Make Mugrugs! Our offices are closed today due to “Stella” the current blizzard along the East Coast. And even though we didn’t get as much actual snow as predicted (about 18″), the heavy, icy pellets, freezing rain and wind are even more treacherous! And what does that mean? It’s Mugrug Weather, time to choose your favorite coffee, tea, hot toddy, cocoa or other warm and cozy beverage, and give it a pretty and proper place to sit on your table or desk. It’s also a perfect time to show off some of the inspiring entries that have come in so far for our ongoing Mugrug Challenge. It runs now thru April 30, so we’re only halfway thru, which means there’s plenty of time for you to enter again and again, and maybe even win one of our weekly mug-and-fabric prizes! 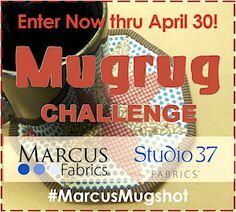 No matter what’s lurking outside your windows this afternoon, everyone stay safe, and stitch up a quick mugrug (including at least one Marcus or Studio 37 fabric print)…then post it on Instagram with #MarcusMugshot, or email your photo to enter. We’ll be that much closer to our goal of “A Marcus Rug for Every Mug”! QuiltCon Recap – #MarcusMugshot Mania!! Thank you sew much to all of the willing “suspects” we rounded up at QuiltCon for their #MarcusMugshots, in honor of our ongoing Mugrug Challenge! Some were extremely willing, in fact; we’ve never seen a happier, more cheerful group of mugshots…maybe the free fabrics we gave away had something to do with it, and we’re already seeing lots of mugrug entries as a result, so keep those Instagram posts coming for a “shot” at one of our weekly random drawing prizes, now thru April 30. In case you missed it, these are just a few. Look for more on our Instagram feed @marcusfabrics and @studio37fabrics.